I will be posting cards, prints and original oil and acrylic paintings that have specially reduced prices for my first Holiday Studio Sale. All you have to do is email me at kbunn@ec.rr.com if you would like to purchase or have a question about a special item. 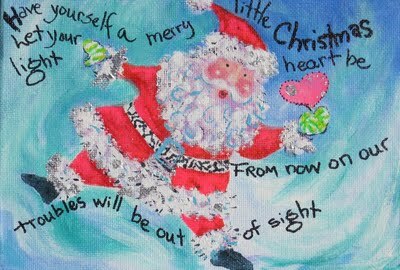 Here’s the first little canvas painting, it’s a 5″x 7″ small little counter art happy Santa holding a pink heart. Perfect little gift for someone who is going through some tough times. 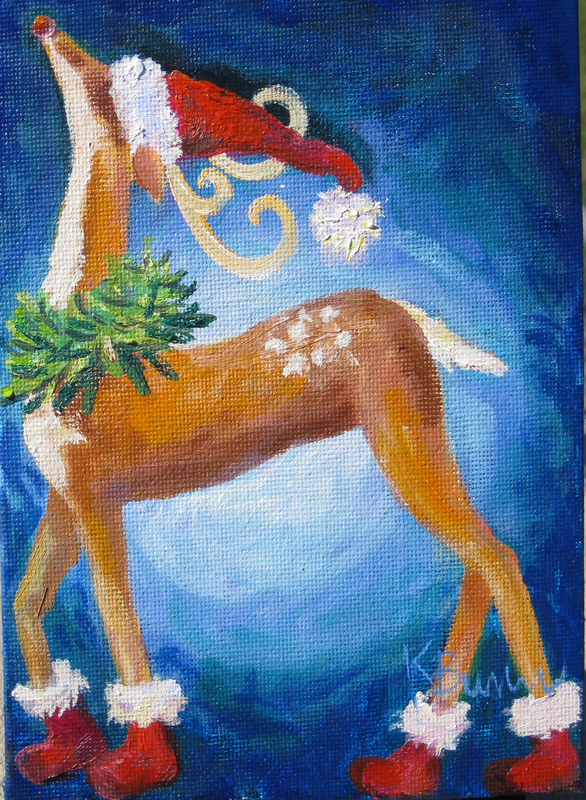 Another pretty little acrylic painting for all those reindeer lovers, this one is topped with a Santa hat and is wearing adorable red fur-trimmed boots, it would be so pretty sitting on a shelf or perhaps a little table. “Kiss Me at Midnight” is an oil painting on canvasboard and measures 5″x 7″……….please email me at kbunn@ec.rr.com for inquiries. Your comments are delightful Gina! Thanks Carolyn, I’ll connect with you!